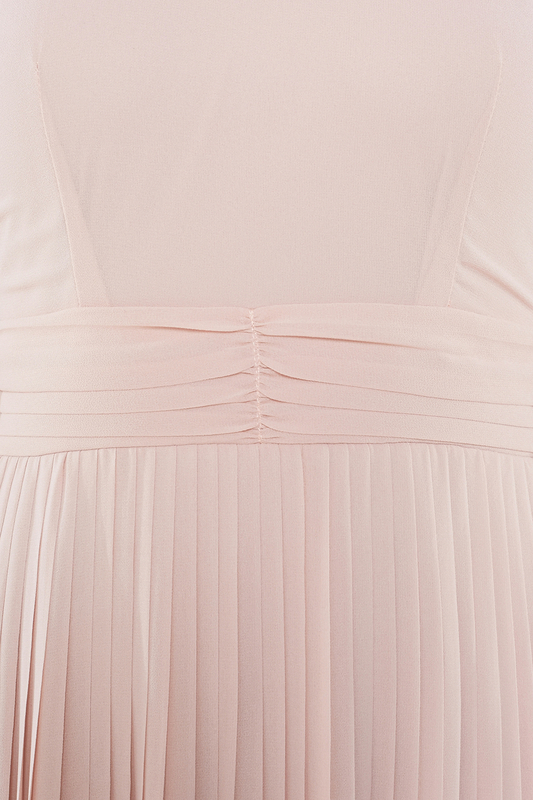 Made of quality chiffon polyester mix, fully lined non sheer. 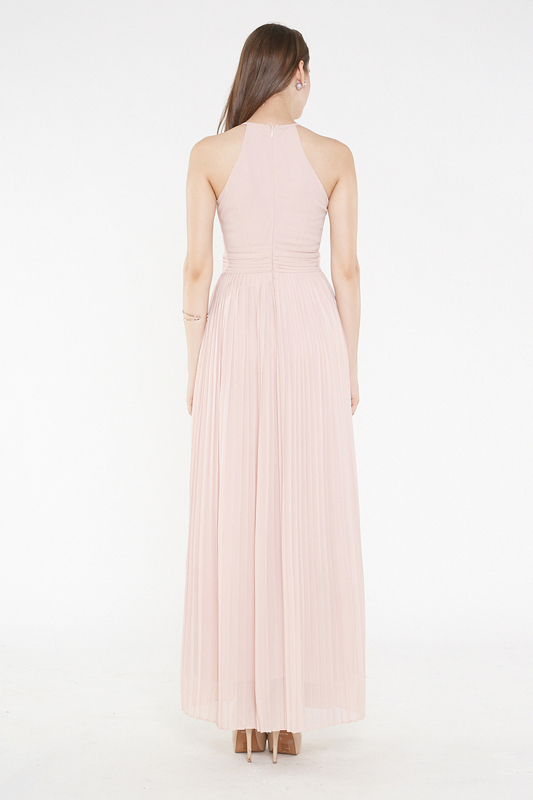 Features press pleat skirting and neatly ruched waistline, back zip. Dress has no slight stretch in fabric.